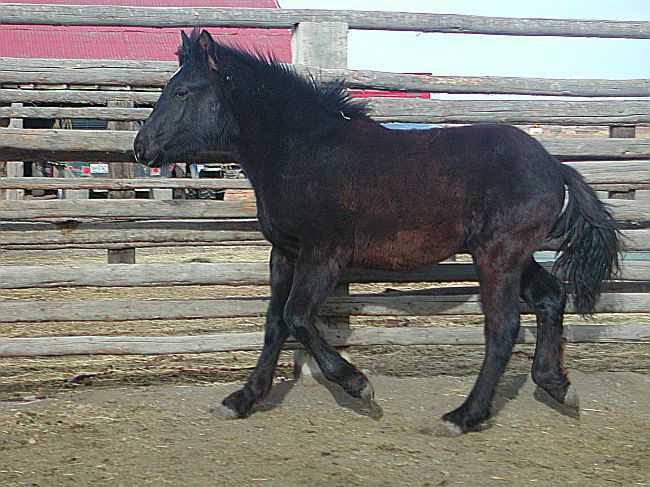 Black/ Colt Quarter/Spotted Draft Cross. Here is a real solid guy who will carry a load or move out in style. Deputy is eye catching and will be a lot of fun to have around. We have found this cross to be very good at a lot of riding styles. 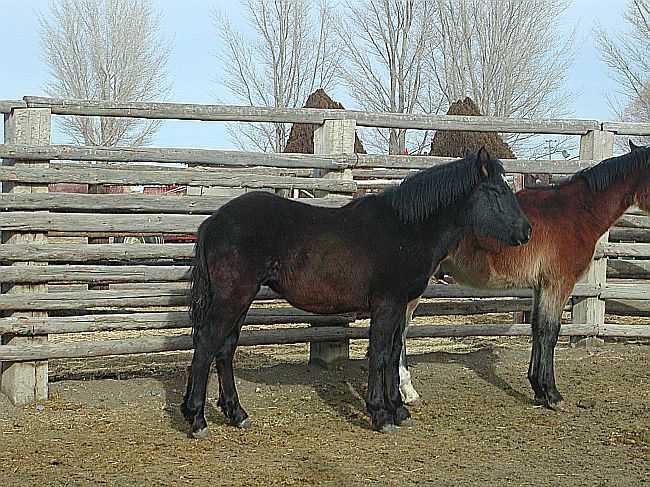 His dam is "Noirie", a black quarter horse. His sire is a fancy good minded Spotted Draft called "Ernie".